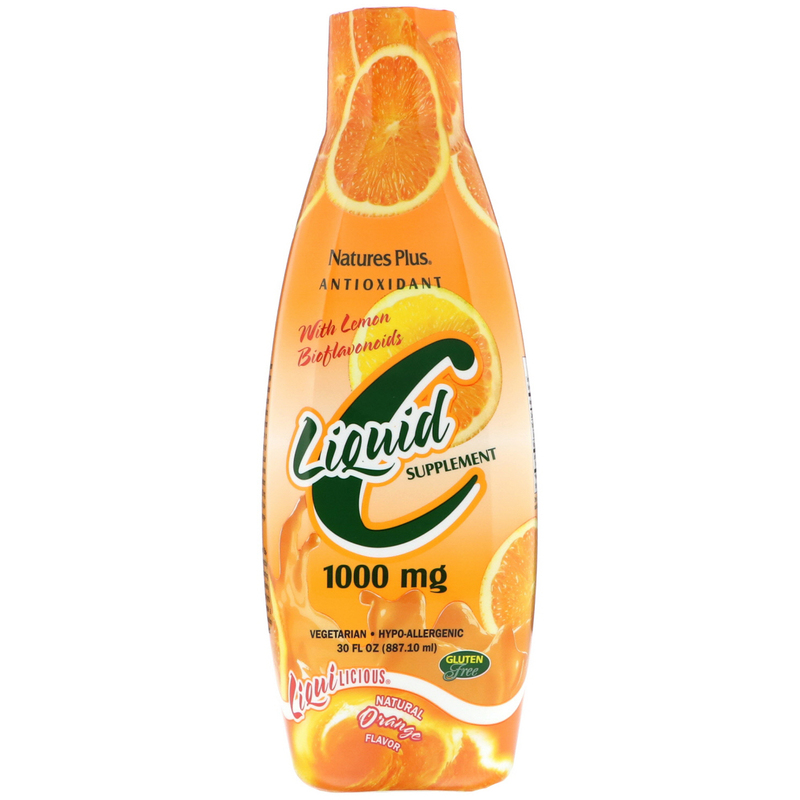 Nature's Plus Liquid C with Lemon Bioflavonoids is an exciting, cutting-edge Vitamin C supplement that delivers superior quality Vitamin C and lemon bioflavonoids in a luscious, convenient liquid formulation. There's a reason why Vitamin C is the most well-known and highly regarded vitamin in the world: This antioxidant supports many of body's systems, including the vascular system and natural defenses. For those who prefer supplements in liquid or suspension form, Nature's Plus Liquid C delivers 1000 mg of Vitamin C and 100 mg of lemon bioflavonoids in just two delicious, orange flavored tablespoons. 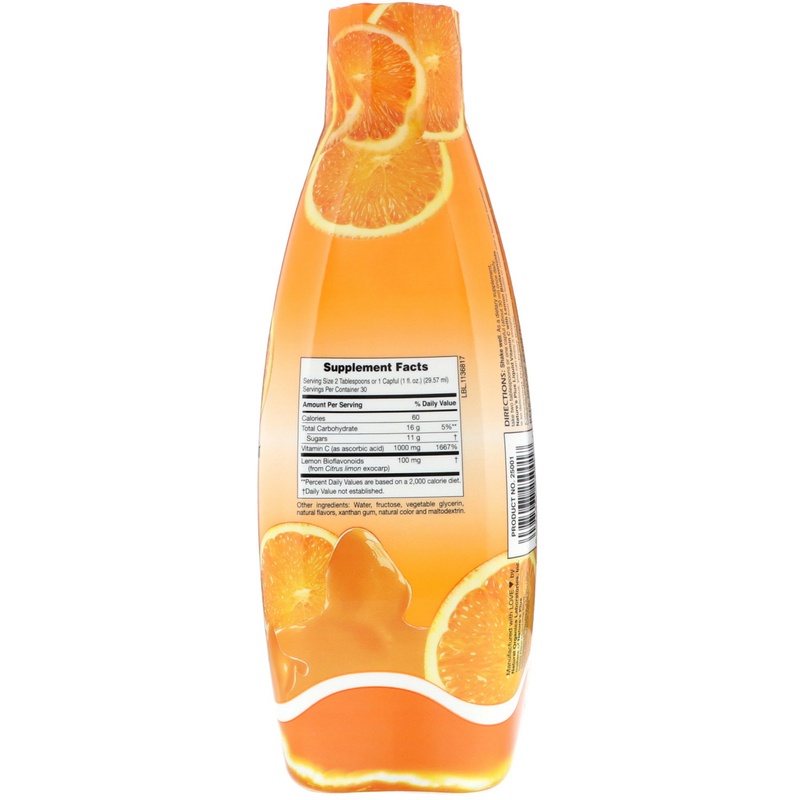 Nature's Plus Liquid C with Lemon Bioflavonoids is highlighted by its incredibly delicious orange taste. Each drop is bursting with the amazing flavor of ripe, sweet, freshly picked oranges. Heavenly citrus highlights and delightfully tangy undertones create a luscious, succulent, refreshing taste sensation that has to be experienced to be believed! Shake well. As a dietary supplement, take two tablespoons or one capful (about 30 ml) once daily. Nature's Plus Liquid Vitamin C with Lemon Bioflavonoids is so delicious, you can enjoy it straight from the bottle or mixed with a favorite beverage. Water, fructose, vegetable glycerin, natural flavors, xanthan gum and natural color and maltodextrin.